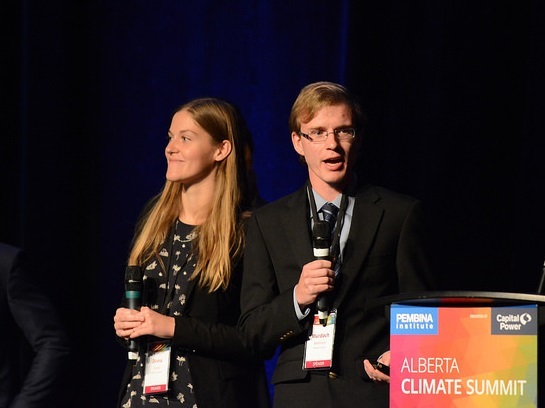 On September 26, Diana Kurila and Murdoch McKinnon made a pitch at the 2018 Alberta Climate Summit as Youth Energy Changemakers. 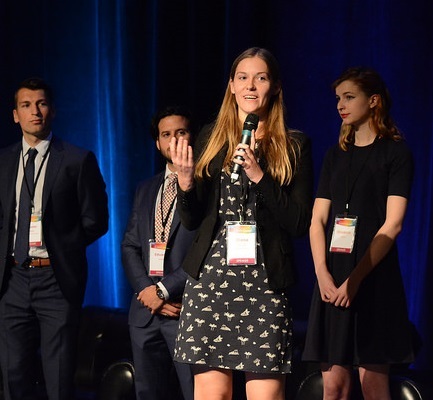 In front of hundreds of influential players in energy and climate, they asked for partnerships and support for their Green Energy and Climate Learning Lab project, which will be installed on the roof of their former high school and consist of solar panels, a weather station, and a wind turbine. 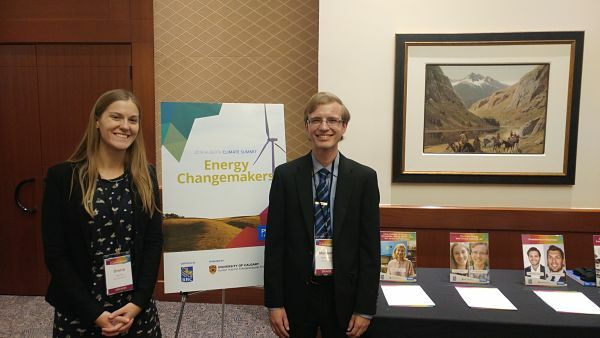 Diana and Murdoch, now students at Mount Royal University (MRU), will be mentors for high school students as they collaborate together on the project. Diana is also an Education Support Intern with the Alberta Council for Environmental Education (ACEE) and will be using her experience to help guide the project. Murdoch brings his knowledge as a 3rd year Environmental Science student, and Diana brings her teaching background as a soon-to-be graduate of the Education program at MRU. The name Learning Lab comes from Murdoch and Diana's goal for the project to be led by students, for students. 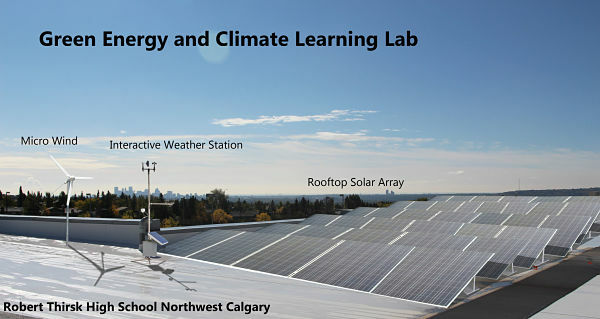 Robert Thirsk High School (RTHS) students will connect with professionals, such as Solas Energy Consulting and People for Energy and Environmental Literacy (PEEL), to design the learning lab and work with real energy and climate data once the project is installed. Natural Science teacher Warren Lake, Social Studies teacher Tyler Melnyk, and Science Teacher Dawna Morrow are the lead teachers on this project, allowing for cross-curriculum integration and students from science and social studies to take part in the learning lab. 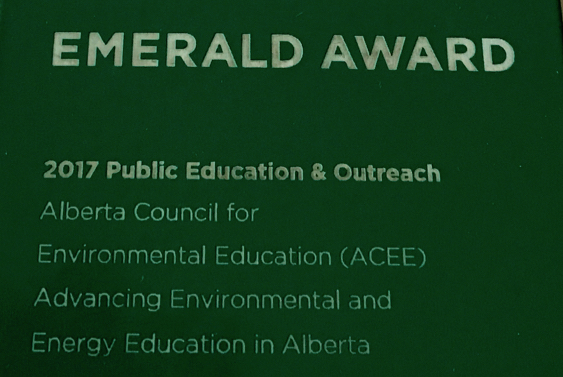 ACEE is supporting the Green Energy and Climate Learning Lab, and last week the project was announced as a recipient of the Alberta Ecotrust Foundation Community Grant. Planning is now underway, with the project to begin in spring 2019.